Tomorrow begins National Breast Cancer Awareness Month, a month of education that began in 1985. 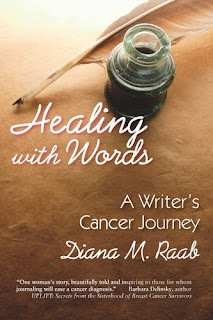 We at WOW-Women on Writing hope you, and the women you love, are well educated about a disease that affects one in eight women over their lifetime. You can find info at the U.S. National Institute of Health but you can also learn about breast cancer from the experiences of others. Thirty one writers have agreed to write about breast cancer on various blogs this month as part of our first Blanket Tour. We’ll be kicking off this month’s WOW Blanket Tour with a word from Diana Raab. Each time you post a comment at one of the blogs on this tour you enter to win a copy of Diana’s book. The list of blogs participating follows Diana’s poems. used to say when your time¹s up, it¹s up. another day of loneliness free from answers. to a throbbing broken heart. Check out what writers have to say about breasts, cancer, surviving and a slew of other related topics. We hope you find information, inspiration and the occasional chuckle. Does our WOW Blanket Tour sound fun? The next one begins Nov. 1 with Chynna Laird, her book Not Just Spirited: A Mom’s Sensational Journey with Sensory Processing Disorder, and the topic of parenting (especially parenting children with special needs). For more information contact Jodi at jodi@wow-womenonwriting.com ! What a great way to boost awareness for such an important cause! Looking forward to a month filled with that schedule of reads posted here! I am super excited to be a part of this. Do we still need one more blog for the 30th? Can't wait till tomorrow to start. I know we will have some amazing posts to read. I do need one more blog for the 30th. Interested? I'm very keen to do the 30th Oct spot, especially as I've recently overcome leukaemia. Please let me know if I can help. What a wonderful idea! I'm looking forward to reading each and every post. Thank you, WOW! for drawing attention to Breast Cancer Awareness Month. Great poem by Diana, who is a fabulous writer and friend! 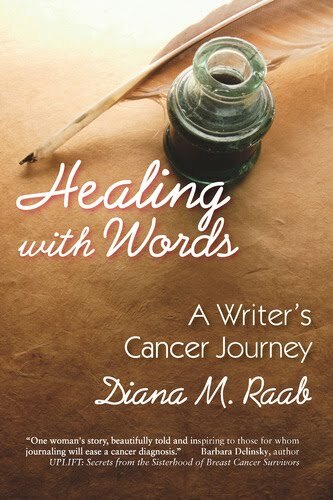 From another Diana who wrote her way thru breast cancer with a journal. There are two posts up, and two to come.